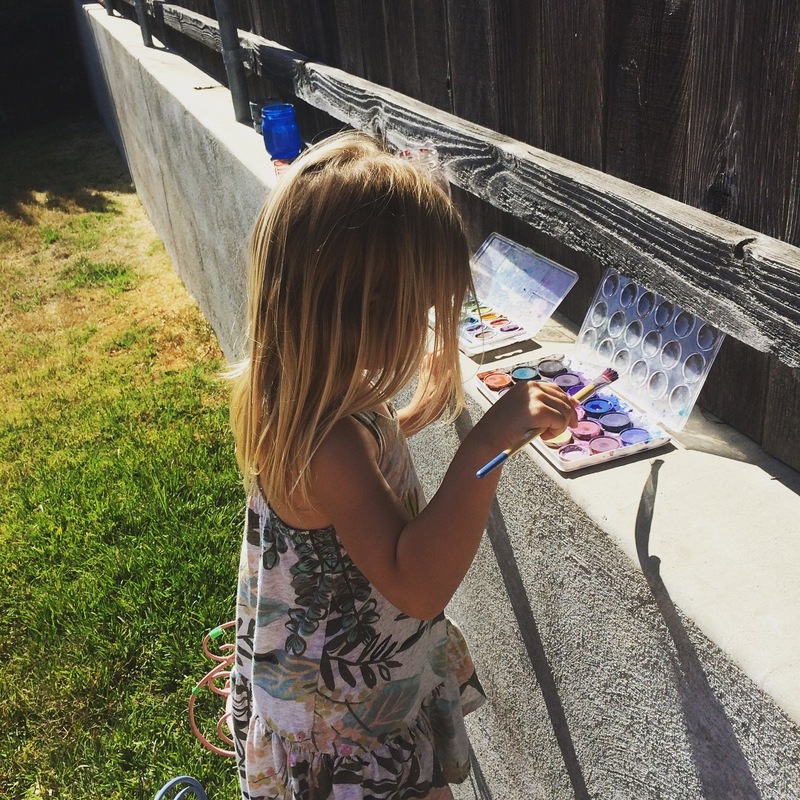 I have many different painting for kids posts that you can find here but this week I wanted to share a really fun and easy outdoor idea. I was inspired by the documentary I just watched with my kids Given. I highly recommend the film, it documents the life of a family who travel the world surfing different places and learning about each culture they encounter. The film is narrated by the son of the family and makes it extremely relaxing and relatable for kids. They are originally from Hawaii and spend a lot of time outdoors. 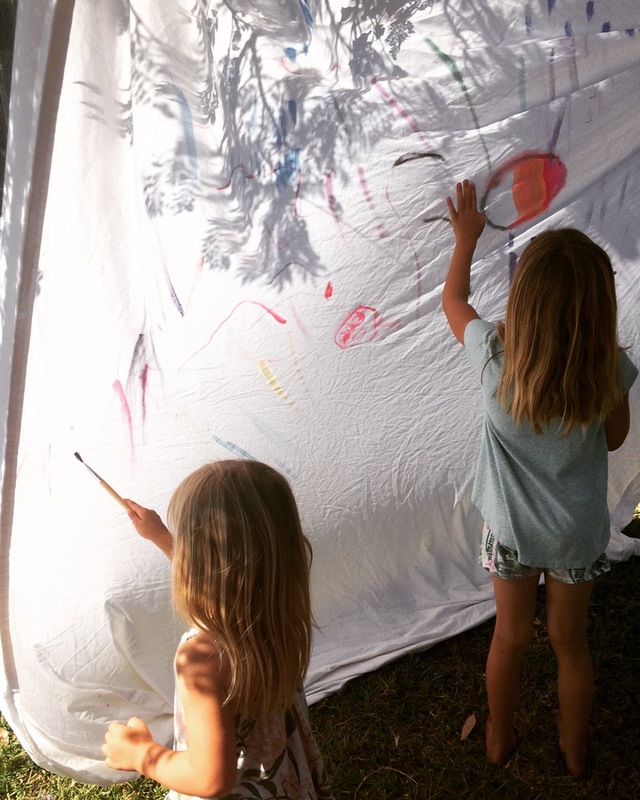 At one point, they showed their grandfather working on a tapestry painting outdoors. I thought this would be an awesome Summer activity we could try at home. We took an old white sheet that we don’t use anymore and I hung it with clothespins in our tree outside. 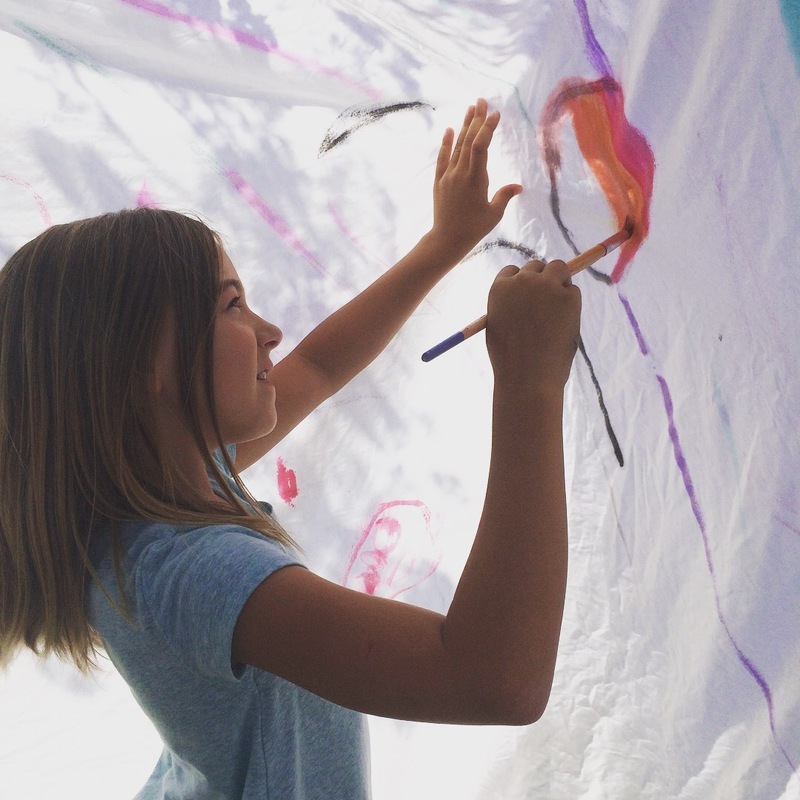 I brought watercolors and large brushes outside and let the kids get really creative. 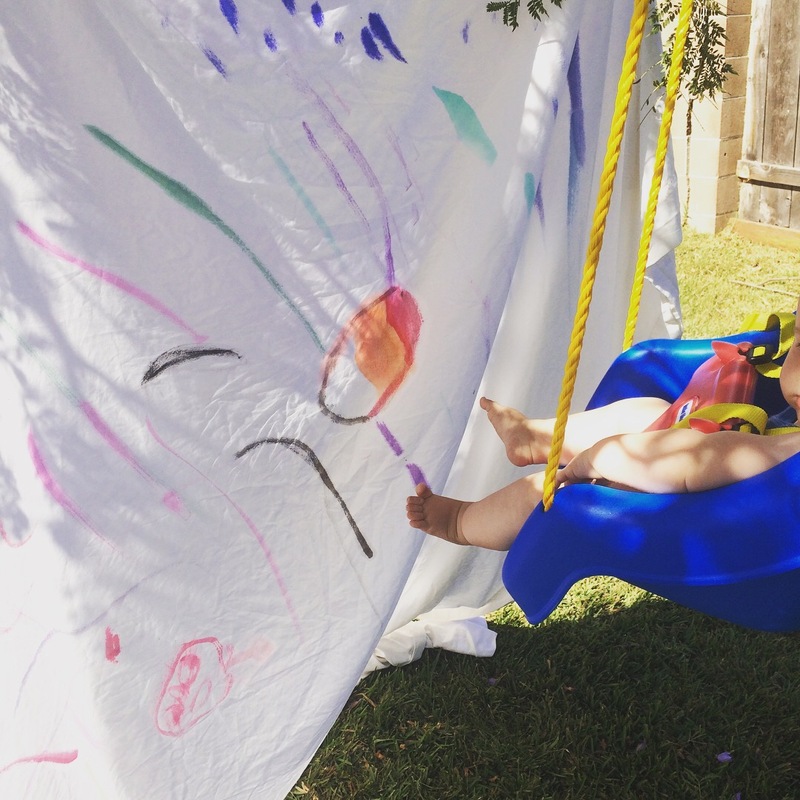 This simple painting for kids idea turned out to be so relaxing and fun. 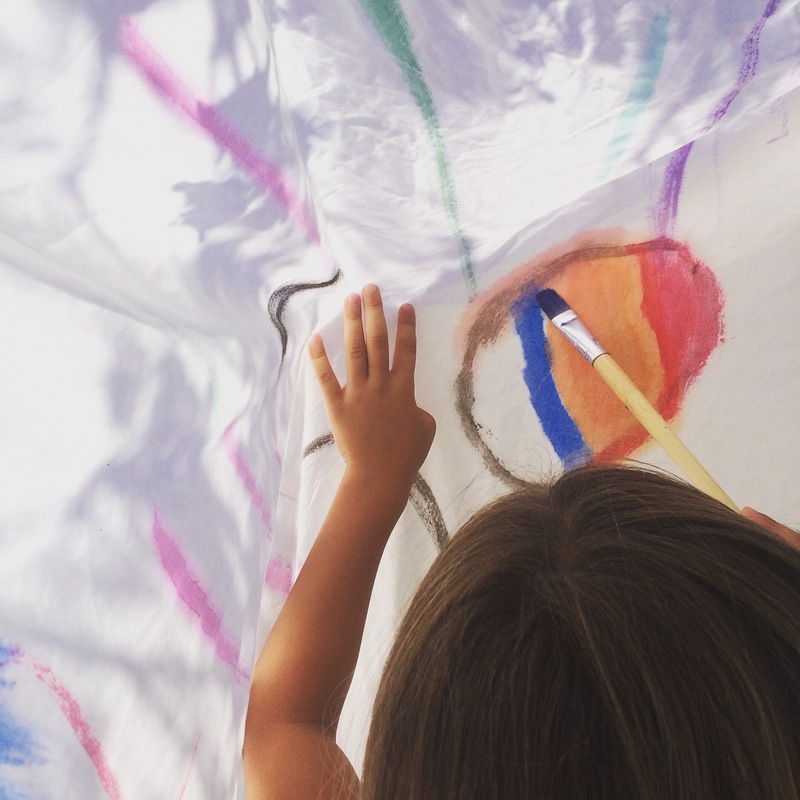 After the kids finished painting their own design on the sheet it turned out really cool and transparent. 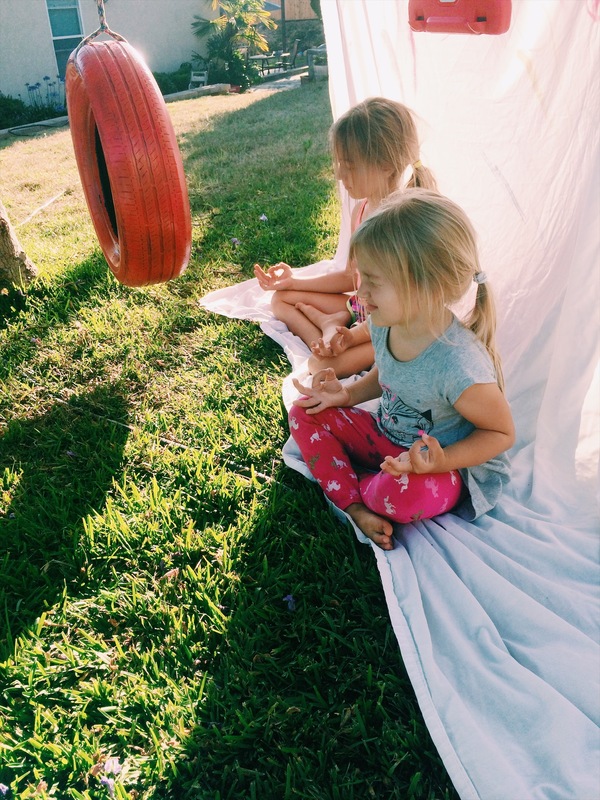 I left the sheet hanging in their space and they used it as an outdoor tent and yoga studio. 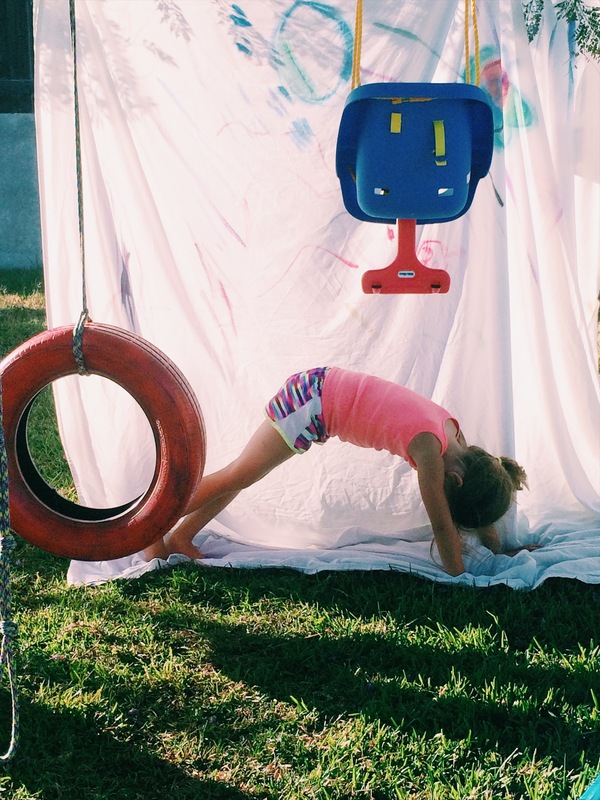 The girls came up with these relaxing ideas on their own which was so neat to watch! For more painting for kids ideas check out my watercolor art lessons and youtube videos! 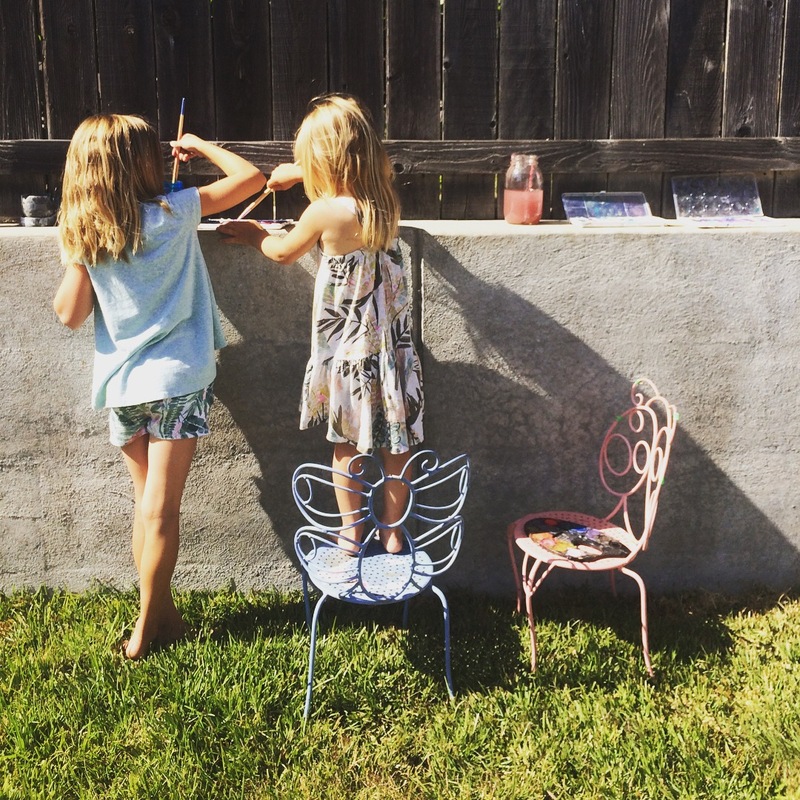 I hope you are having a lovely Summer and maybe you can add this project to your Summer bucket list and don’t forget to pin it! I love this!! Such a great idea for kid’s imagination!